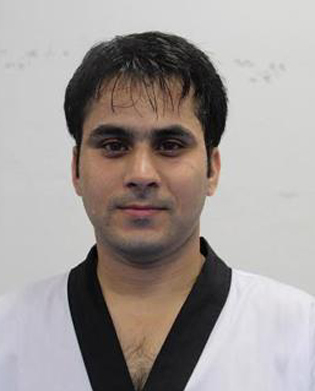 Surya Bhanu Partap Singh, is an ace wushu player from J&K, who recently won the first ever bronze medal for J&K in the World Wushu Championship at Jakarta in Indonesia. On November 14, 2015, Bhanu Partap Singh defeated American player to reach pre-quarterfinals, then defeated Sri Lankan player to enter quarterfinals and then defeated player from Macau Iyan San Miyo to make it to the semifinals, before bowing out to Russian counterpart. 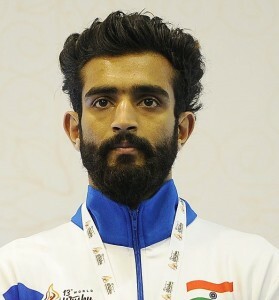 Bhanu Partap has the distinction of winning a gold medal in the 35th National Games held at Kerala in January 2015 and a bronze medal in Pars Cup held in Iran. For winning the bronze in prestigious World Championship, Bhanu Partap Singh was felicitated by Minister for Youth Services and Sports, Imran Raza Ansari in a function held at Jammu recently. For World Wushu Championship, Bhanu was also accompanied by his coach Kuldeep Handoo, who was there as technical official. Apart from these achievements, Bhanu has lot of outstanding achievements at the State and the national level. Before participating in the World Championship, Bhanu attended a 45-days coaching camp organized by Wushu Association of India in collaboration with Sports Authority of India (SAI). Bhanu has the honour of being the best wushu player in the State of Jammu Kashmir. 1. Who won the second match of the ongoing India-South Africa Test series? 2. Who is the president of J&K Wrestling Association? 3. Name the players who scored centuries for J&K in the Ranji Trophy match against Goa recently? 4. How many States are participating in the ongoing 61st National School Games Under-17 Girls Cricket Tournament? 5. Who is Ashwani Gupta? 1. Match ended in a draw 2 Shiv Kumar Sharma.3. Surya Bhanu Partap Singh 4. J&K 5. J&K’s former Ranji Trophy cricketer. The best entry of this week was received from from Sanjay Dhar, Lane No 1, H No-3, Upper Laxmi Nagar, Sarwal Jammu. The other entries of the week were Vinod Koul, 144/H, Durga Nagar, Jammu; Ayush Sharma, Rehari Colony, Jammu; Nitin Kumar, Krishna Nagar, Jammu; Abhishek, Gandhi Nagar, Jammu and Satish Kumar, New Plots, Jammu.